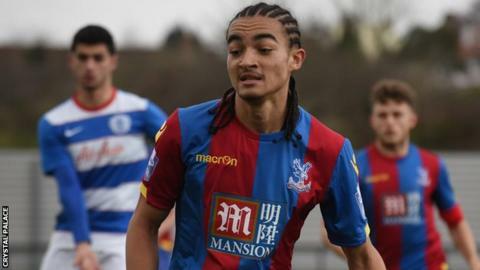 Crystal Palace have signed teenage winger Randall Williams from a team who play in the ninth tier of English football. Williams, 19, who was playing for Tower Hamlets in the Essex Senior League, has signed a permanent contract until the end of the season. He impressed manager Alan Pardew while on trial with the Premier League club. "I just want to better myself and to go up nine leagues is a big step," Williams said. "Alan Pardew said he wanted to have a look at me so he brought me in to train with the first team." Williams, who was with Tottenham when he was younger, added: "I played in a behind-closed-doors friendly against Crawley Town and did well there and he liked me."